It’s spring, just before the sakura bloom. When I was napping on the veranda, he abruptly entered in from the garden to the veranda arbitrarily, demanding for food. He looked like someone aged in their late teens or early twenties; he was a young leader with hair roughly pulled into the tea whisk-style, a kimono that pulled down, a straw rope on his hip that held a gourd and a scabbard that held a long sword that was swaying. 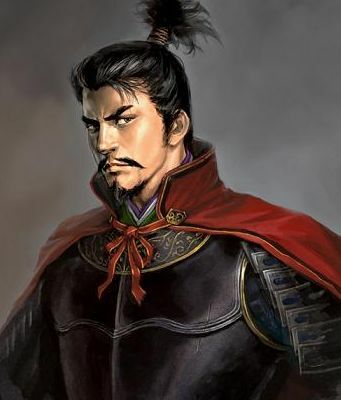 In fact, he’s a major leader of Owari Provence, the heir to the Oda clan, the person called Oda Nobunaga. It’s a long story, but I was playing the Sci-Fi VRMMO called Galaxy of Planet, and I was in my base, a space fortress, and somehow got put into the real Sengoku Era. Even if I was in a space fortress, I wanted to see the Sengoku Era, so I descended from the sky and rented out a house in the outskirts of the Owari Provence, which had little danger, yet I met with Nobunaga himself, and he became attached to me. Coming abruptly to somebody’s house and demanding for food is exactly like Nobunaga. Just, this person always comes bringing in nothing but things like game from falconry. For such a Nobunaga, the white rice, miso soup, and hog meat cooked with miso were prepared by the omnipotent-model organic android Eru. She had slender, well-proportioned legs, perfect proportions, blond hair, and exploding breasts and gave out a gentle, you could say that it was healing, atmosphere. She was really my aide in Galaxy of Planet, but there was no way to explain it, so I said that she was my wife. Greedily, Nobunaga and the rest of us ate bowl after bowl of rice in high spirits, and quickly finished the after meal dessert. Particularly, Nobunaga’s favorite was the after dinner dessert of sweet bean jelly. I used ample sugar, which, in this era, could only be from imports, and, in this era where agar didn’t exist, Nobunaga could be said to be a sweet tooth. I think it was worth the price since the face of the Nobunaga that was unreservedly eating turned really pale when he heard sugar. Well, Nobunaga should of became the lord of Nagoya castle during his ceremony of attaining manhood, but his father, Oda Nobuhide, was in good health, and his guardian, Hirate Masahide and the daimyo’s minister, Hayashi Hidesada, were there, so Nobunaga himself became free. Why are you complaining when you already have so much grain and gold? At present, I am not paying respect or anything else to this angry person who is anything but enjoying himself. Well, my foreign wife and Eru were the same thing, so that statement wasn’t correct. By the way, don’t you think that the number one reason for the rumor that I’m a suspicious person is the Ooutsuke-sama? Just, at the same time I became friends with Nobunaga, I became like a suspicious person. After translating this, I realized that I don’t have the necessary googling skills for this project!